Celebrate Halloween with our Halloween Party Printed Wall Decal! 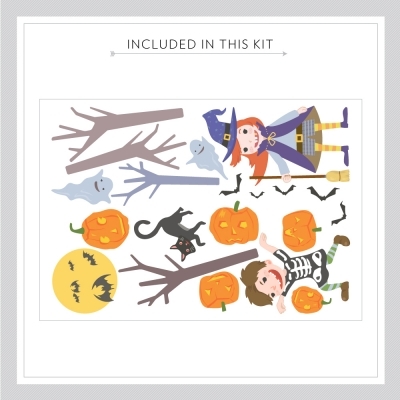 Also be sure to check out our Halloween Fun Printed Wall Decal. Available in 2 sizes. Colors may vary slightly from the image above. Please note: this item is a holiday themed decal and therefore cannot be returned/exchanged.